Raidon Technology, Inc. announces internal RAID modules - iR4300-S2, providing hardware RAID function as usual but with metal key lock to prevent the data lost due to drive removed by accident! InTANK iR4300-S2 internal RAID module is designed for 2.5" HDD or SSD, provide RAID-0, 1, 3, 5, clone and JBOD modes for user to set up by their application. It carries with company's metal tray which has key lock on it, compared with the old modules with plastic tray or the tray without key lock, it's safer for sure. User do not have to worry about the plastic aging problem for long-term use, but it also have better heat dissipation due to the entire module metal ratio more than 90%. 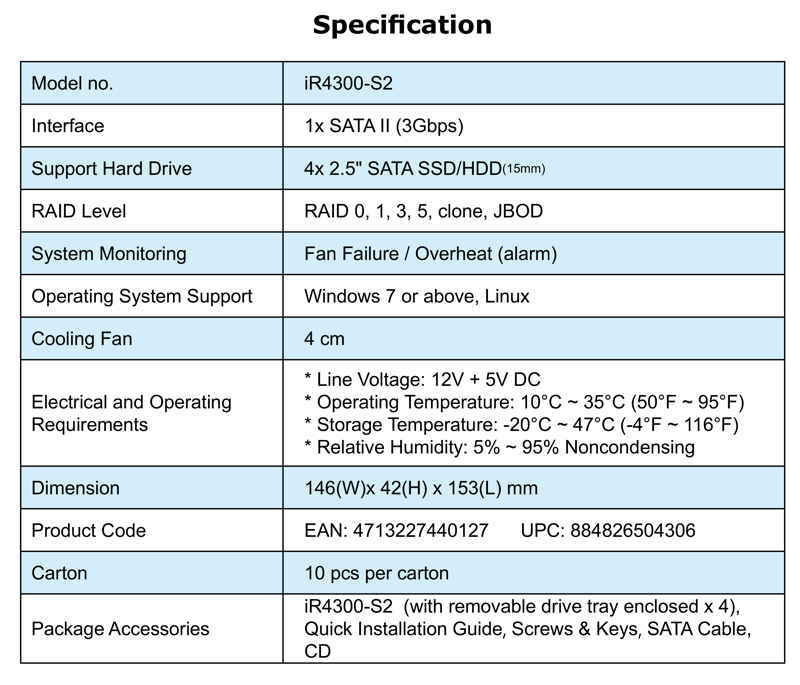 The company also has other products which have the same dimension as one CD-Rom, such like iT4300-U5 and iT4300-S3.